In life, trusting someone is never easy. You can’t just trust someone so easily most especially if you’ve only known them for a short period of time. You need to know him or her first before you give your trust. However, when it comes to hiring someone for your office relocation, you may not have that much leverage of time. But all the same, if you are to trust someone in relocating your office, it should be someone that is worthy of your trust. You need to look for a reliable and trustworthy company that will cater your needs. Although it shouldn’t be that hard to find someone that reassuring. You only need to know the qualities of a good office relocation Sydney expert. 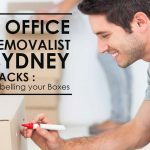 So, are you ready to know the good qualities to determine a good office relocation Sydney expert? Then, without further ado let’s start talking business. A good office relocation Sydney expert puts a client’s satisfaction on top priority. You should get the guarantee that at the end of the moving period, your items will be safe. And the process should also be smooth. You should be informed of even the tiniest details about this endeavour. And should be guided in every step of the way. Part of the service that will be given should be tools and solutions that will make the process easier for you. Such as affordable secure self-storage if ever needed. If you have any specific instructions or concerns, they should be addressed in the least possible time. Just as how client-oriented we are in Business Relocation Services. Our main goal is to provide you with the best service that you can find in all of Sydney. Furthermore, we guarantee to offer you easy fixes if ever there will be any inevitable disruptions or delays. That is how competent and efficient our very own office relocation Sydney team is. A user-friendly website is very important for a moving service company. It is the primary tool for great customer service. On the website, you should see testimonials, list of services and their definitions, and most importantly–contact page. If you didn’t need anybody’s help in navigating the site, then it’s a sign that you found yourself a keeper. Because it’s indeed a good sign of how helpful the company is to their clients. As you check the website of your potential office moving service company, you can also request an online quote for you to have the idea of how much it is to do the relocation. A reliable office moving service company has no problem in providing you with an accurate quote. So, you don’t have to run into unexpected expenses. Check at least 3 or more moving companies and compare its quote to see which one fits within your budget. When you look for a moving service company, check if it has an accredited certification and business management system. This is for you to know if they are indeed reliable. Take note that a reliable moving company must follow a quality service standard. Here at Business Relocation Service, we have an office relocation Sydney team that gives you a quality service that follows the standards of the industry. We always listen attentively to the customer’s need and provide solutions to every problems and issue that will arise. We offer a high-quality service which in line with our customers need. A good office relocation Sydney expert doesn’t only give you a quality service, but it’s also a fast and efficient service. Yes, being efficient in handling a bulk of items such as desk chairs, tables, office supplies and etc during the move. Also, ensure that they guarantee that you can expect all of your stuff to arrive at its destination on time. These are only a few of the qualities that you need to check in hiring an office moving company. In this way, you can avoid delay during your transfer. Remember that any delays and damages cost you money. So be attentive enough to hire a reliable business removal expert that will give you fast and efficient service. As well as a high-end quality. Regardless if it’s a first-time mover or not, a good business relocation expert should always be helpful. They should listen and give a solution to their customers’ concern. Looking for a reliable Office Relocation Company? Contact 1300 92 94 40 and get in touch with our friendly staff as you discuss your office relocation plan with us. For more useful tips, visit our blog section or you may also read: Business Relocation to Melbourne.